Canada’s 150th birthday is coming up! How are you planning to celebrate the 150th anniversary of Confederation? It’s amazing what differences an invisible border between us and our cousins in the south can do, but divisive it is, and it’s led to some interesting foods that we can call uniquely Canadian. Milk might be something found the world over, but we confuse the south (and even some neighbours here in the north,) by purchasing our milk in bundles of 1.3L bags. Ketchup is totally a legit flavour of chips. It’s been estimated that about 15% of Canadians visit Timmies daily, can you imagine how many whisper the code words “double-double” with their order? I’ll give you a hint: It’s uttered so frequently, that it graces the pages of a Canadian English Oxford dictionary. Butter tarts and poutine! If nothing else warrants a visit to Canada, these two Canadian foods are a must. Want more? 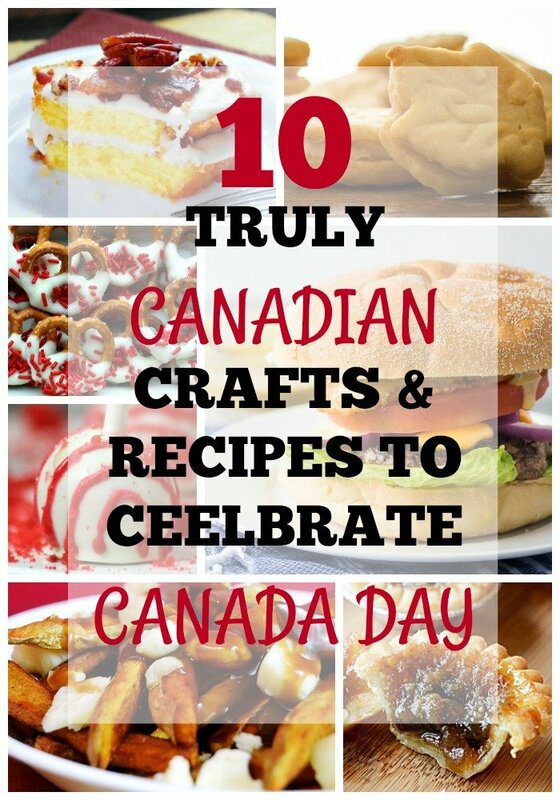 Here are 10 delicious recipes, and ultimately fun crafts that are all Canadian. What is your favourite thing about Canada? Is it our colourful currency? Do you have a more than healthy penchant for the Canadian tuxedo? Whatever makes you a Canuck, you do you, and have a fantastic Canada150! Thanks for including my word search. I appreciate that! Hope you have a great weekend! Thanks for sharing these awesome recipes and blog sites.This is a nice collection to refer to. Butter tarts are a great Canada Day celebration desert, never would have thought of them. Great looking recipes that I will have to try out. Those Canadian facts are so accurate! Poutine is favourite food ever but i have yet to try making it myself! I’ll have to give The Starving Chef Blog’s recipe a try!